All our activities are available at no cost and are free to print and share. 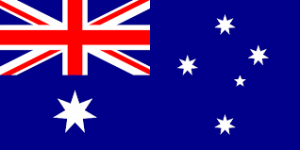 Today we will be covering the continent Australia! Using egg cartons. Bend the bottom portion in half.. making a mouth with teeth. Cut the top portion in half as well and glue one top portion to the top set of “teeth” and glue the other half of the carton top to the bottom set of “teeth”. This forms pockets for the fingers to work the puppet. Take two cups from another carton to make eyes for the top of the head. Paint green and white. Use cut out a pear shape and elongate the skinny portion. Turn upside down and this is the head of the Mama Roo. Add construction paper ears, black nose, and eyes. Fasten to a headband. For the pocket use a large pocket-shaped piece of construction paper, the same color as the Mama Roo cut out smaller version of the Kanga Head, add little ovals to mimic hands holding to the edge of the pocket (at the top). Glue head so that it looks like the nose is peeking over it. Punch holes in the sides, make yarn ties so that the children can tie the pockets on. The most eye-opening thing for me when I went to Australia as a kid was to see that they had maps printed with South at the top – so that Australia was near the top and in a prominent position instead of lost somewhere at the bottom! You can make your own map by tracing over a “traditional” map onto a big piece of butcher paper and then labeling the countries yourself, writing so that Australia is at the top, not the bottom. This is especially fun to explore and talk about when you hang a “down under” map next to a “traditional” one. draw the outline of an emu…paint his beak, neck and legs. Have children draw around their hands on paper they have already painted black (streaky), cut them out and then glue onto the body – starting from the lower edge. No matter how their cutting is, the feathers will look great! Draw an outline of an echidna and paint the snout, add pink tongue flicked out to catch ants. Have them roll small (depending on size of echidna body) squares of paper (painted brown) around a pencil and glue edge when rolled. Slide off pencil and let dry…then glue onto echidna, starting from rear. Do dot painting on pre-drawn snake. Put paint in a meat tray and have children paint the dots using end of pencil or cotton bud. Use brown, black, yellow, orange, red and ochre colors. Did you know that it is the only country that is also a continent and that it is the smallest and flattest continent? It is also one of the driest places on earth. You can discuss how this dryness causes brush fires to strike. In the center of the country, the Outback, you can drive hundreds of miles w/o seeing another person. The Great Barrier Reef off the northeastern coast, schools of electric pink fish swim in the world’s largest coral reefs. You could get a book showing fish and coral from the barrier reef to show the kids the beautiful colors. You could also discuss the aborigine people. They are very fascinating. This could lead to a discussion on what peoples migrated to Australia and why. For example: Did you know one of the reasons the people in Australia are known to be rough/tough? In the 1700’s Britain use to send their prisoners from overcrowded jails murderers, thieves and poor people sent to jail for failing to pay their taxes. Australia served as a prison colony for 80 years. In 1851, gold fever struck. Last, but not least, what would be a discussion without the flavor of language. Did you know that it snows in Australia? They have poisonous snakes in the bush. They avoid populated areas as much as they can and are usually only found there in times of extra dry weather when they go looking for water. Spiders: Red-back spiders in 90% of the country. They live in dark places like garden sheds, etc. so it’s always wise to be careful when getting things out of sheds. Further north in Australia they have funnel-web spiders, which are also deadly and can be found in gardens. Lizards – not poisonous, but can bite. They are a multicultural country and have foods from all over the world. Melbourne has some marvelous Greek and Middle-Eastern restaurants, as this is the largest ‘Greek city’ outside Athens. Because of the proximity to Asia and lots of Asian immigrants, the Asian restaurants are superb. Even those with Anglo backgrounds tend to cook ‘international’ – lots of pasta, Asian-type stir-fries, middle-eastern dips, etc. Meat is also relatively inexpensive, so they probably eat too much meat – beef, lamb, pork, and veal. They also like good old English fish-and-chips. Beanie Babies has a wonderful kangaroo and koala bear that you can use in your storytelling. And they also have a platypus – although his coloring is not realistic. Guess who caught you, just for fun. Child on chair has to attempt to identify speaker. 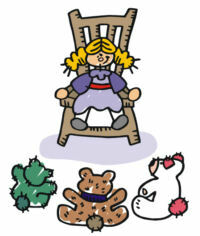 If guess is correct – they change places….three wrong guesses can take a look before changing places. You can have the children hop around like kangaroos! Have a kangaroo and or Kola bear day were they can bring in a stuffed animal. Have the children act like their animals during group or circle time. Hang a world map or have a globe out to show the kids were these places are. Butter one slice of bread. Spread a thin layer of Vegemite on top of the butter. But I see there are two. Up rode the squatter mounted on his thoroughbred. “Where’s that jolly jumbuck you’ve got in your tucker-bag? “You’ll never catch me alive,” said he. Waltzing matilda – walking the roads, with your swag on your back. Billabong – waterhole made when a bend in a creek or river has been blocked off. I’m looking for a science activity to go along with Australia. Any ideas?